Directions Exit the M6 (N) to junction 40. Leave here and follow the A66 for Keswick and Workington, stay on the A66 into the town centre, until traffic lights at T junction. Turn right here onto the A596 for Maryport. After approx half mile you will see the river to your left and the floodlights for the ground (on the other side of river). 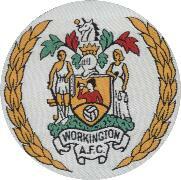 Continue along the A596 and pass under a bridge, taking the next right which is signposted Stadium. The ground is on the left opposite the Tesco superstore.